Was born on March 11, 1948. His first cartoon was published in 1971. He has participated multiple times in the Annual National Exhibition for Young Bulgarian Cartoonists and was awarded Second Prize in 1975. His art works have been presented in National and International Cartoon Exhibitions (Austria, Belgium, Bulgaria, Croatia, Germany, Israel, Italy, Macedonia, Mexico, Romania, Turkey and others). In 1977 one of his cartoons was published in the prestigious newspaper Literaturnaya Gazeta (Moskow). Mr. Nedyalkov is presented in CARTOONIA – The Big Encyclopedia of caricature too. He is a member of FECO Bulgaria. His book Dioptric for Deaf (People) was printed in 2013. Dioptric for people pretending to be deaf (Eng): Epigrams and writers, orchestra conductor, actress, pop singers, sportswoman, TV meteorologists, politicians friendly take-off. Hristo Nedyalkov: Author of texts. Lubomir Mihailov: Cartoonist of hard-cover and illustrated epigrams. Jovcho Savov: Cartoonist of illustrated friendly take-off. His book Papionki za bosi was printed in 2014. Butterfly-neckties for barefooted (Eng): Epigrams and opera producer, cartoonists, writers, pop singers, actresses friendly take-off. Hristo Nedyalkov: Author of texts. Lubomir Mihailov: Cartoonist of hard-cover and illustrated epigrams. Jovcho Savov: Cartoonist of illustrated friendly take-off. He obtained two engineering degrees from a Technical University in 1975 and 1994. He worked for Bulgarian and International Shipping Companies for many years as ship electrical engineer officer and ship electronic engineer officer. 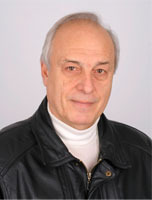 Hristo Nedyalkov is currently living in Sofia.